Celebrate your first day of class with FREE ice cream! 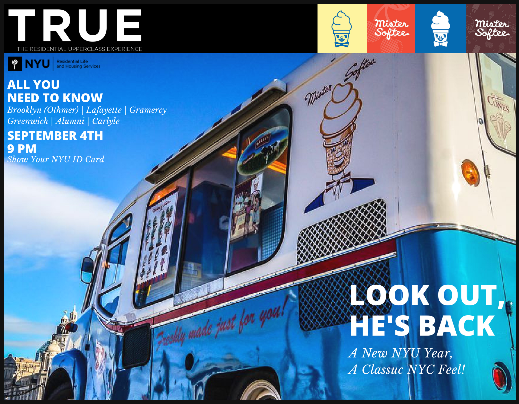 A Mister Softee ice cream truck will come to Carlyle on September 4th at 9PM. Just show your NYU ID to get free ice cream.